Making this skirt was pretty easy. The only hitch was lining it. Since this lovely fabric was pretty sheer, I decided to line it with a light cotton fabric (great for hot weather). 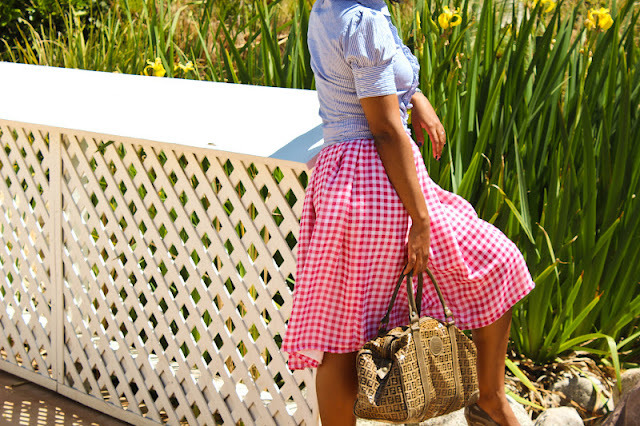 I loved that adding the lining made the gingham print richer but hated applying it. What are you thoughts on ginghams? Do you have a favorite color or size (smaller or larger) of this print? Share your thoughts in the comments below. This is super cute Rejina! I don't normally think of this kind of print as fashionable but you really pulled it off! I also love the length of the skirt. Did you use a pattern or free hand? Did you pleat or gather the waist? 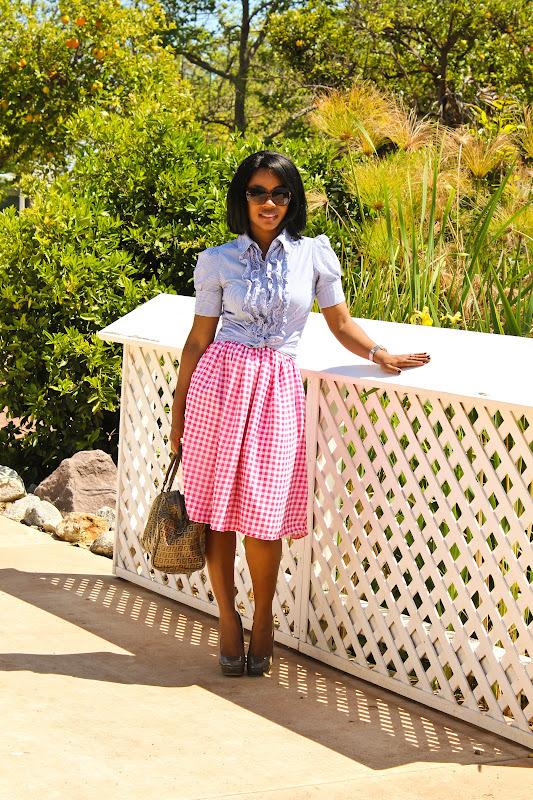 Thanks Mary Ann.Gingham can be a little interesting but I have been really liking it lately. I commented on your blog with a response to your questions. So cute! I love most prints and patterns and this is one of them. 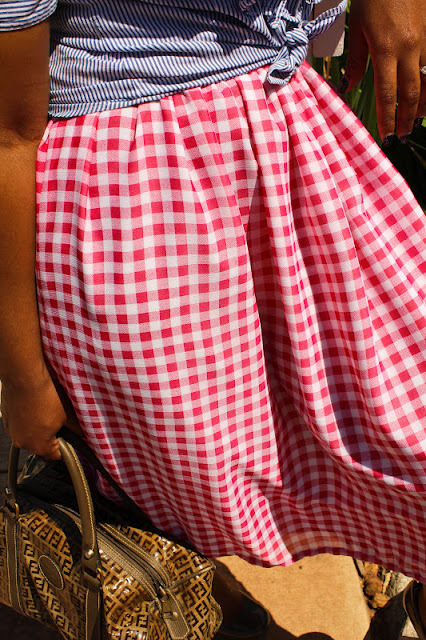 I actually don't own any gingham, but now I'm thinking I should go get some! Love your dress- so cute!! I will totally wear it. Thanks a lot for the gingham skirt love. The skirt is cute, love the combination with the ruffled top! Thanks for the comment on my blog- I'm def following yours! Love all of the outfits and the way you style them! Great job! I relly like the gingham print! And your shoes look so great! Following you! 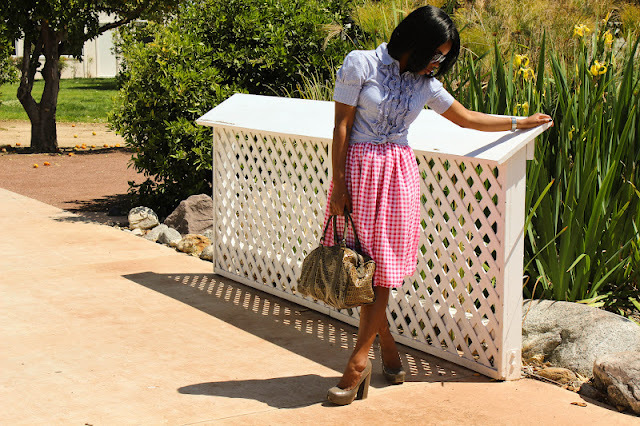 Loving the gingham skirt! Saw one like it on Asos that I fell in love with! So perfect for summer! Aww thanks. 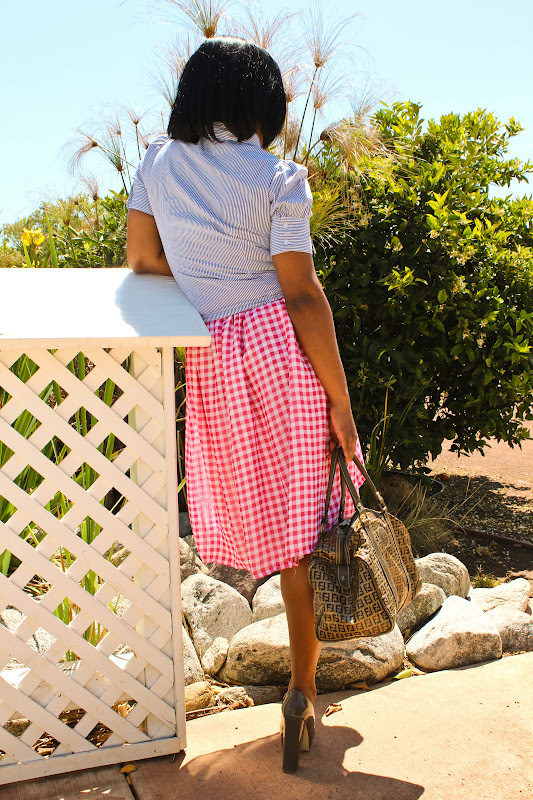 Gingham is def great for the summer. Asos has some really great gingham pieces too. I especially love their gingham print pants. hey just found your blog. It's so inspiring. I am going to follow you. Hope you'll come by and visit often. Last few days of my giveaway. Wow! Great skirt! I can't believe you made it! Great job!